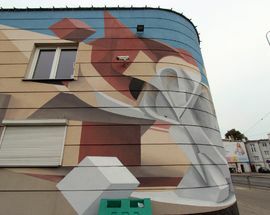 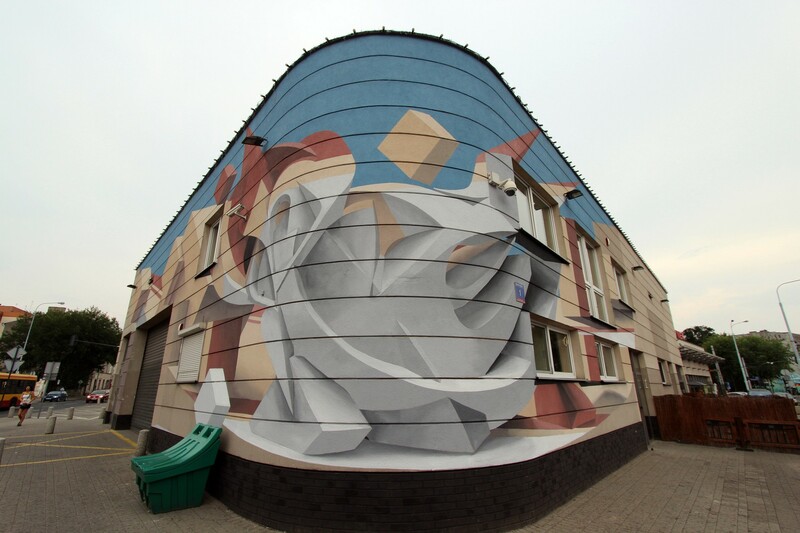 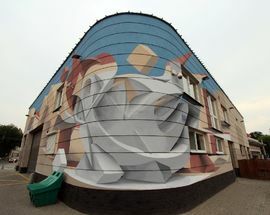 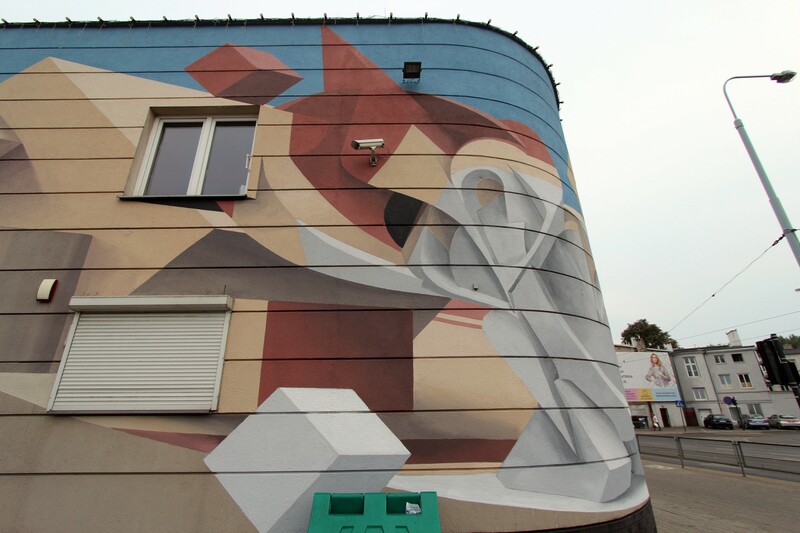 Created in 2018 by Italian painter and sculptor Peeta during the Urban Forms Festival. 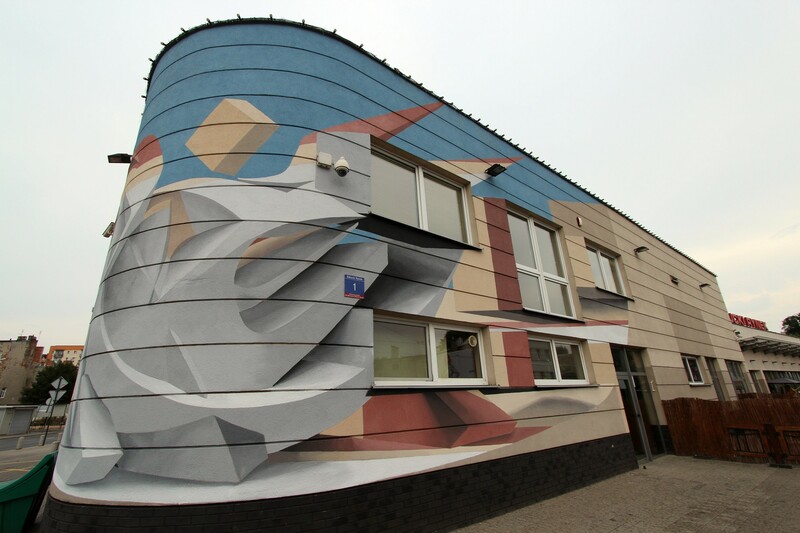 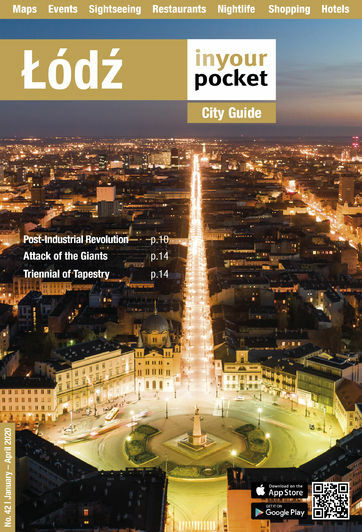 The work is at the square/rynek on the corner of ul. 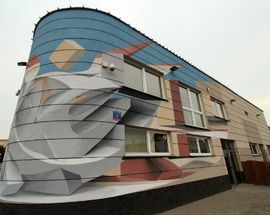 Zgierska.